Bill Loutitt is C.E.O. for McMurray Métis, a very progressive Local with a membership close to 500, who’s mandate is to pursue the advancement of the Métis people of Fort McMurray and Northeastern Alberta. 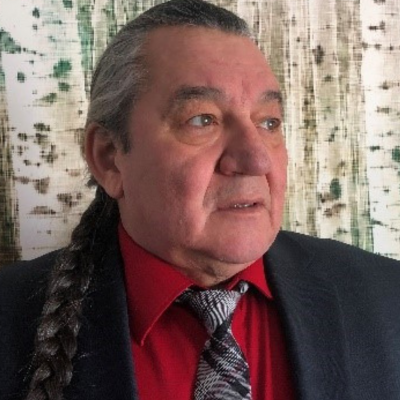 He was also President of Nistawoyou Friendship Centre and former President of Métis Nation of Alberta Region One where he was elected Treasurer of Métis Nation of Alberta and held the portfolio of Environment and Resource Development. Bill also helped develop and was elected as the Métis Representative on the Athabasca Watershed Council (AWC) and the Oilsands Advisory Group (OSAG). He was on the Board of Directors of Cumulative Environmental Management Association (CEMA). He retired from TransCanada Pipelines in 2016 after 26 years as an Electrical, Instrumentation and Controls Technician and 15 years of underground mining in Uranium City, Yellowknife, Whitehorse and various mines in northern Saskatchewan and Manitoba.